It was a chilly morning in the Bronx—the perfect time to get on a bus to head for LaGuardia Aiport, and eventually, Orlando, Florida. 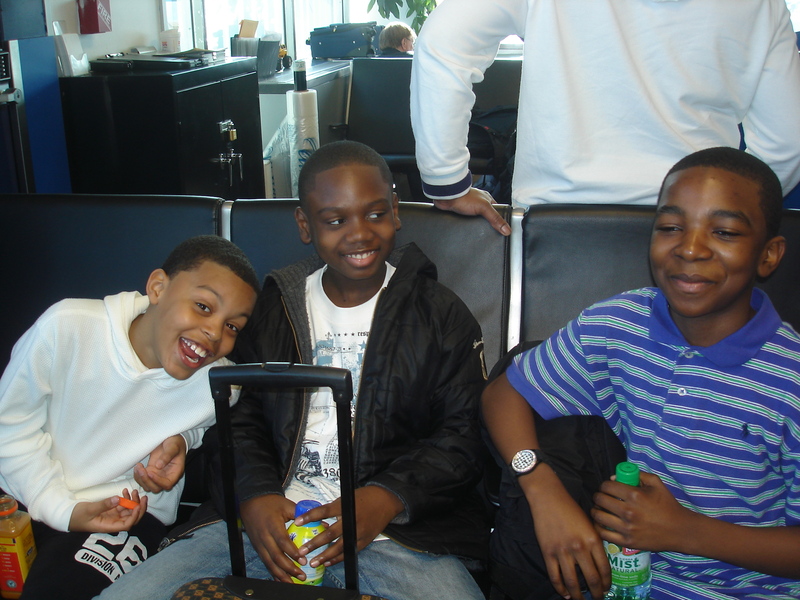 For many of the youngsters on this trip, it was their first time traveling without their parents. For several, it was their first time on a plane. Indeed, this would be a trip of many “firsts” for twenty eight members of the Highbridge Voices Chamber Choir. 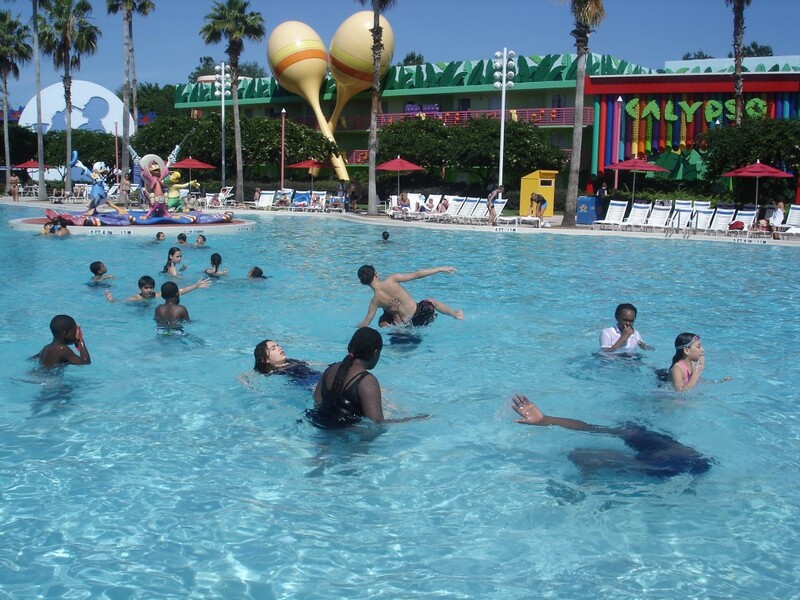 After arriving at the Courtyard Marriott in Orlando, students enjoyed a poolside catered lunch from Subway, and made their way to Downtown Disney, where they got just a taste of all the magic that was to come. Students had time to explore DisneyQuest, building their own roller coasters, helping Aladdin navigate the skies on his magic carpet, and taking in some of the sights and sounds of Disney World. Afterwards, they enjoyed dinner at Planet Hollywood and then headed back to the hotel. Friday was going to be a very busy day. On Friday morning, the choir enjoyed brunch at the hotel and then checked out. 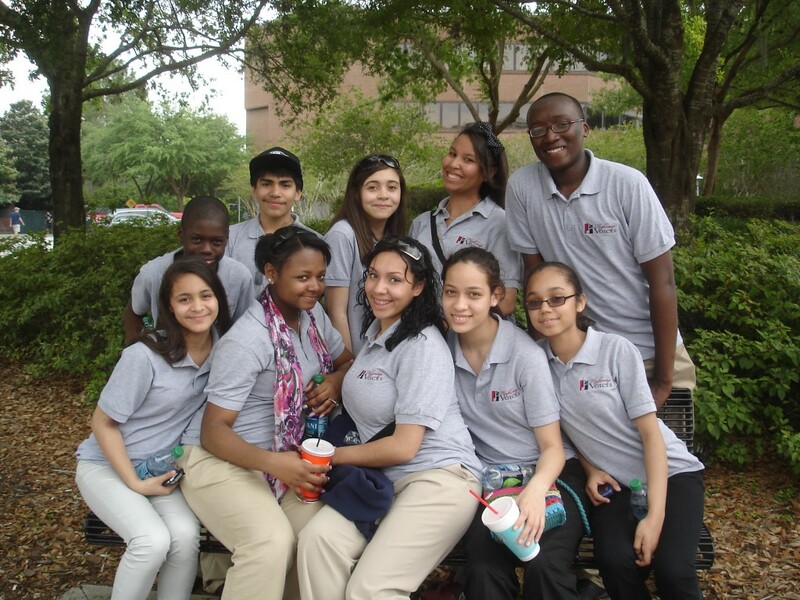 They had a big day of music-making ahead of them, and the first stop was the University of Central Florida. Here, UCF students from the Bronx took the students on a campus tour, which included behind-the-scenes looks at dorm rooms, athletic facilities, and the Fine Arts building. Following the campus tour, students were greeted by Dr. Al Holcomb, professor of music. Our students performed “La Borinquena”, “Il est bel et bon” “Sechaba” and “Never Alone” for Dr. Holcomb and his music education students. The choir got some great advice to help them perform well at the upcoming Festival. 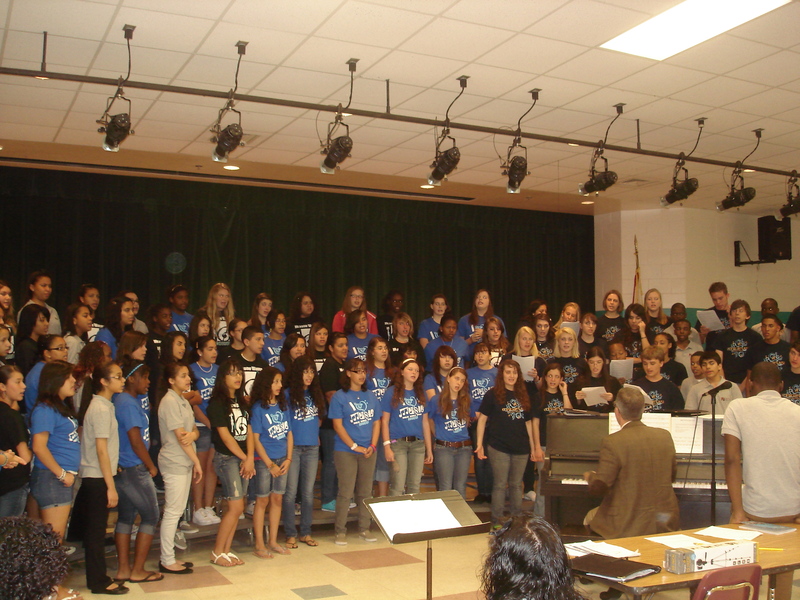 The UCF music education students also had an opportunity to try out what they had been learning on actual students! It was a learning experience for everyone, and it was a terrific afternoon. With a busy morning under their belts, the work was not done. The next stop was Meadow Woods Middle School, where Highbridge Voices met with the choir from Meadow Woods, as well as Avalon Middle School and the Boone High School Chorus. It was an afternoon of games, music, and making new friends, as they Chamber Choir performed their music for an audience of their peers. 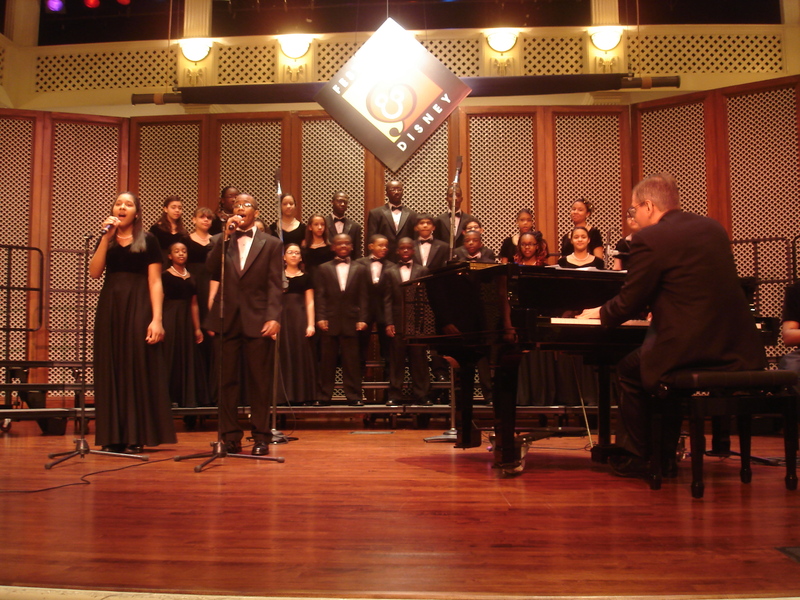 They were adjudicated by choir directors Scott Evans and Courtney Nelson Connelly, and given some much-appreciated pointers to help them prepare for their upcoming competition at Festival Disney. Between the two performances, an extensive campus tour, and a fun and games with the kids from Orange County Public Schools, it was clear that the Chamber Choir students had worked incredibly hard, and were in need of rest before Saturday’s competition! Tonight, they would be staying at The Disney All-Star Music Resort. Walking into the All-Star Music Resort was an awesome experience for our students. Two swimming pools (one shaped like a piano! ), Donald Duck fountains, giant guitars and cowboy boots, and the smell of orange trees! There was so much to explore, but that would have to wait. Tonight was an early night, because the next morning would come very soon. At 6:00 the next morning, the wake-up calls came, but many of the students were already awake—not able to sleep from the excitement. 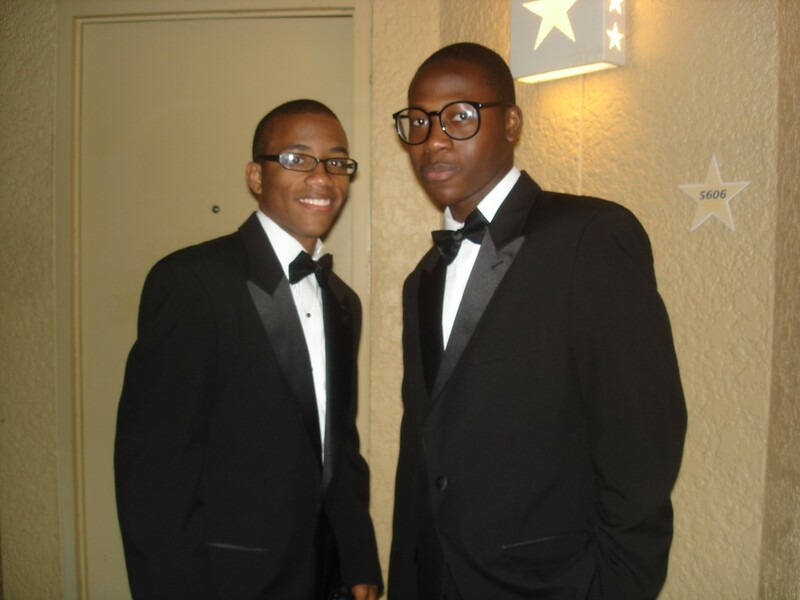 The students nervously put on their tuxedos and gowns and waited quietly on the balcony as interns Robert and Foday got the bag breakfasts (the dining hall wasn’t open yet!). The students ate and warmed up on the bus as they traveled five miles to Saratoga Springs Resort, where the Festival and Competition were to take place. With the Chamber Choir first to perform, they had to be on site at 7:30 and ready to sing at 8:00. Finally, it was time to perform. The lights dimmed in the audience, and the stage lights went from white to reds, yellows, and oranges. A voice came over the loudspeaker to announce “The Highbridge Voices Chamber Choir from Bronx, New York, under the direction of Bruno Casolari and Mary Clementi”. As the choir took the stage, the three judges sat at their seats. They gave a wave, and the music began. It was a terrific performance. Kenyette, Alize, and Robert sang their solos flawlessly. The applause was great, and the adjudicators were very pleased. Dr. Fenton from Florida State University came to the stage to give the choir a 20-minute clinic, during which he gave them much praise and a bit of helpful feedback, too. The choir was smiling and laughing (albeit nervously), and were happy with their performance. They’d have to wait ‘til evening to find out how they did in the Festival. Luckily, they’d have plenty to distract them: next stop? Disney World! The students enjoyed Disney Hollywood Studios for the afternoon, before heading to the awards ceremony. In the stands were hundreds of students from all over the U.S., all celebrating and cheering one another on as the festival results were announced. The Chamber Choir students went wild when they learned that in their first ever adjudicated festival, they had scored a Superior, the highest possible rating. There was so much to celebrate! The evening was topped off with a visit to the Magic Kingdom. Throughout the trip, the weather was great, and the students explored Epcot, Magic Kingdom, Hollywood Studios, and Animal Kingdom. 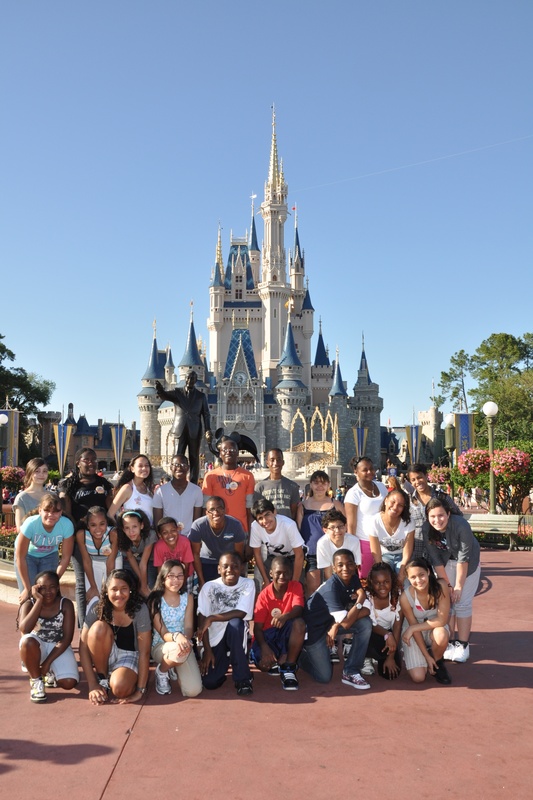 From Rockin’ Roller Coaster, to Tower of Terror; PhilharMagic to the flying with Dumbo, the kids had an amazing time. And, they did get to hang out in that piano-shaped pool!